* Information collated from previous posts in both the old and the new YouTube threads. NB: These instructions are meant for existing users with a working, signed in, and activated YouTube addon. 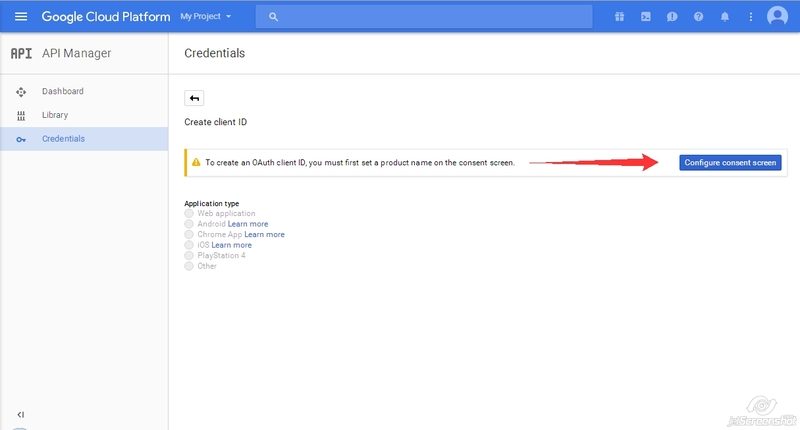 They are not meant to help you install, setup, sign in, or activate the YouTube addon itself if you are a first time user. 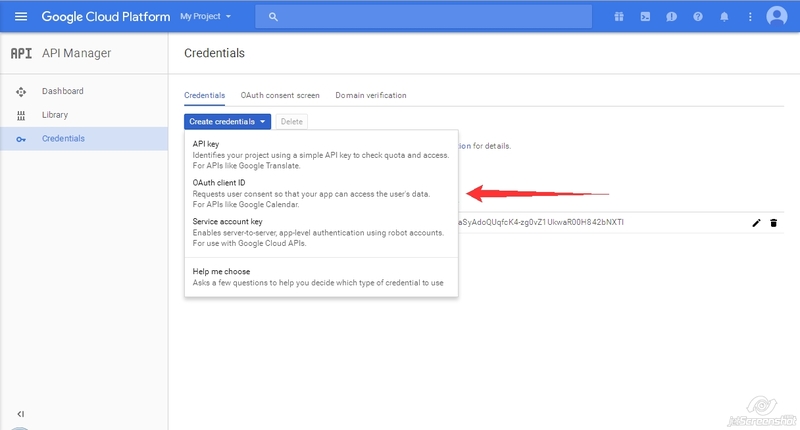 Please install, setup, sign in, activate and test the YouTube addon first, before creating your own Personal API Keys. 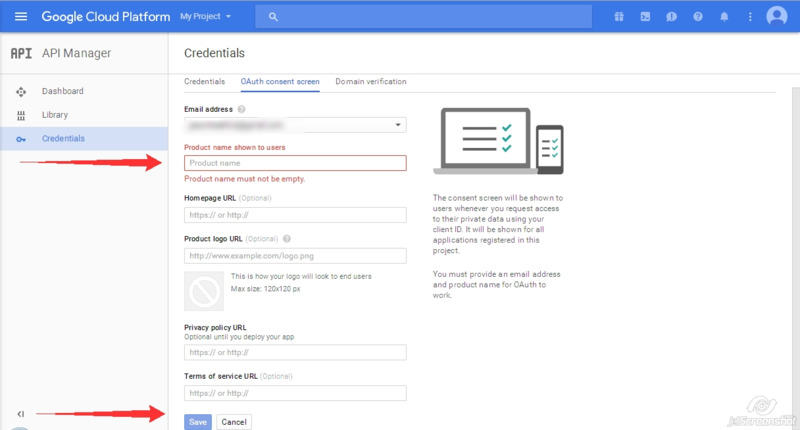 NB: Please ignore any offers to "Sign up for a free trial..." and/or "Try Google Cloud Platform for free". It is not required. 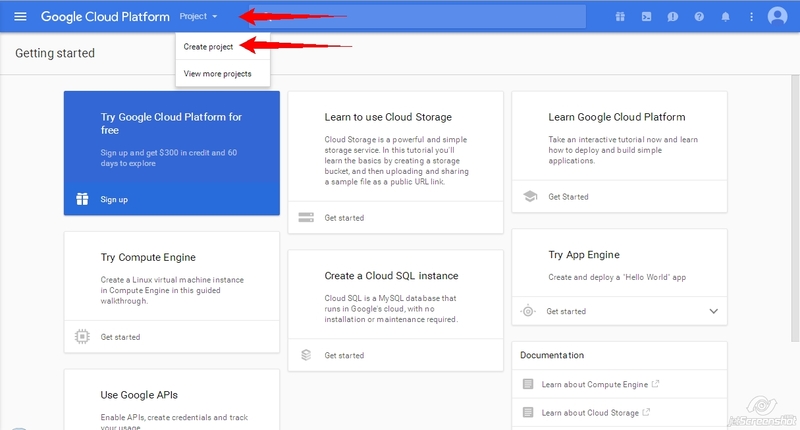 - WAIT until the next page loads with the the New Project that you just created. - Copy and Save the API key. You will need this later. DO NOT POST THIS PUBLICALLY. - Copy and Save the Client ID and the Client Secret. You will need these later. DO NOT POST THESE PUBLICALLY. 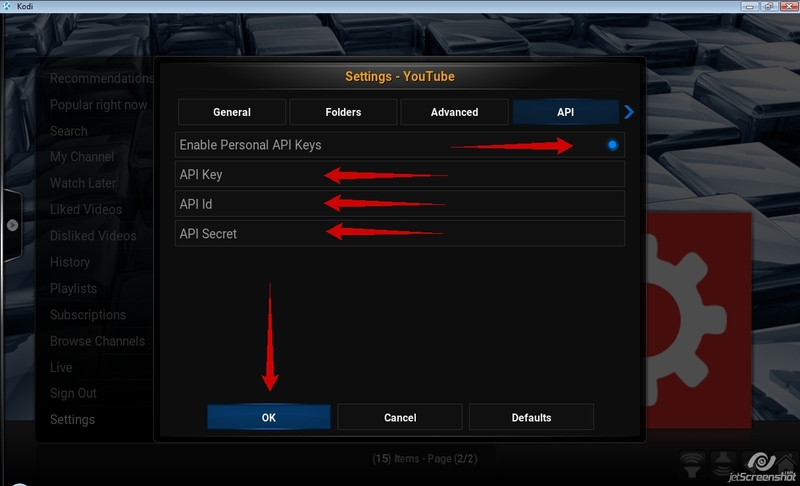 After a successful Sign In to the YouTube addon you should now be using the Personal API Keys that you created. * Why do I get "Daily Limit Quota Exceeded" Errors when I try to use the YouTube addon? 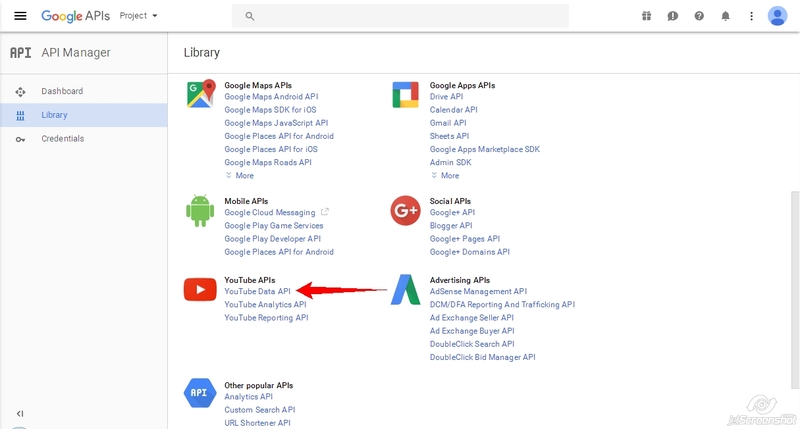 The YouTube addon uses the Google API to access YouTube. 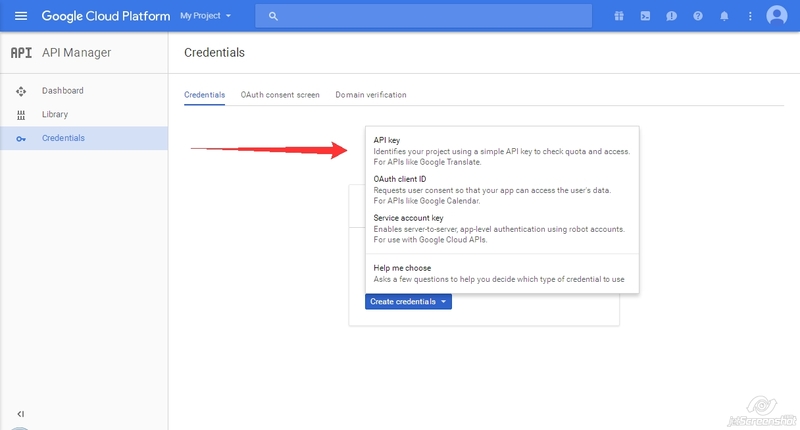 There are "API Keys" for this, but these keys have a fixed daily quota, and these keys are shared between all the users. The addon contains some magic to help with this, however the addon is very popular so the quota is still sometimes reached. 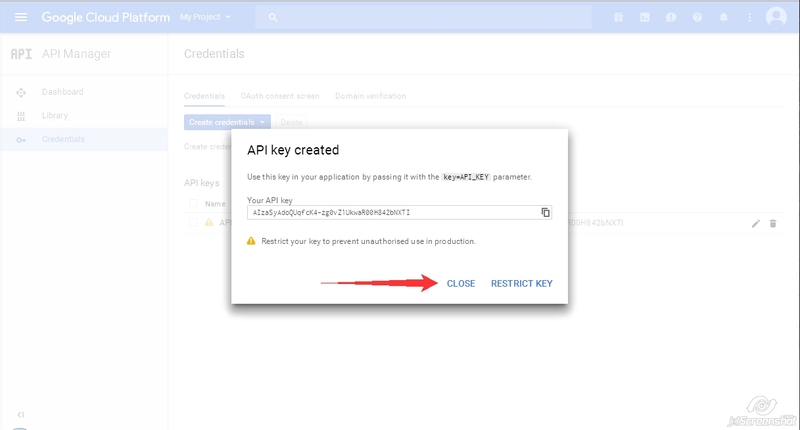 The best solution is to make your own set of Personal API Keys. 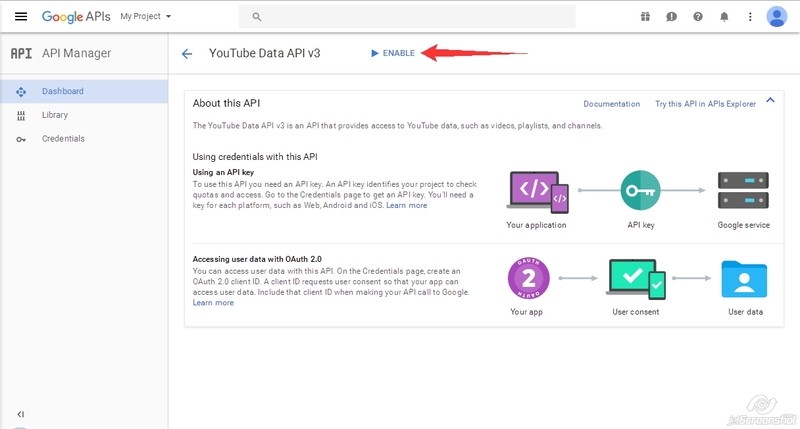 * Please use my Instructions in Post #2 above to create your own YouTube Personal API Keys. This will totally fix any "Daily Limit Quota Exceeded" errors, and it will also reduce the load on the shared keys for other users. NB: sometimes there is a delay and you might need to wait for the Dashboard page to update. But normally it's instant. * WHY DO I NEED TO ACTIVATE THE YOUTUBE ADDON TWICE? 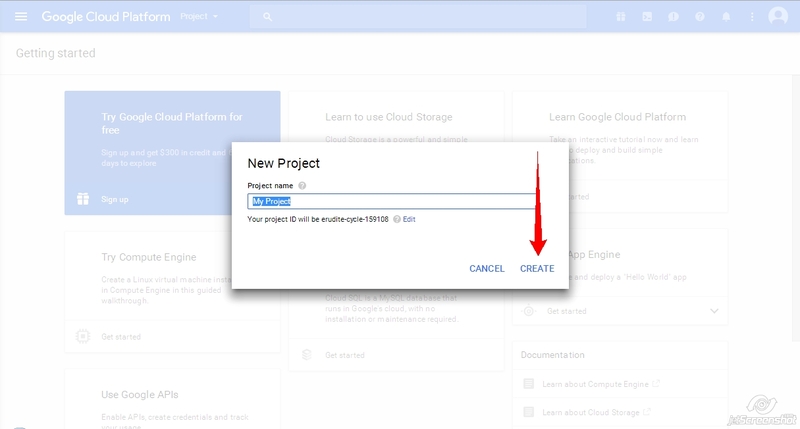 * The YouTube API no longer supports the full use of Watch Later and History preventing correct syncing and editing. But the YouTube addon has a work around to enable you to use Playlists that you create instead. With this method both Watch Later and History will be totally separate between Kodi and YouTube on the web. To use Watch Later, manually add videos. For History, your videos will be automatically added. Editing works per normal. - Copy and Save the Playlist ID. You will need this later. * WHY CAN'T I CHOOSE THE VIEW IN THE ADDON SETTINGS ANYMORE? * WHY DO I ONLY HAVE 'LIST', 'BIG LIST' & 'THUMBNAIL' VIEWS AVAILABLE NOW? * HOW CAN I SET THE 'MEDIA INFO' VIEW AGAIN? As part of ongoing improvements and corrections of hacks and work arounds Team Kodi is now enforcing a previously existing policy that Views should be set by Skins, not by Addons. YouTube v5.3.6 onwards was updated to comply with this policy. ^^^ This is why you can't set the view in the addon settings anymore. NB: To set Views inside your Skin open the 'Side Blade' on the left hand side (stock Kodi Confluence Skin). Team Kodi is now also enforcing a policy that videos from addons like YouTube are not TV Show type 'Episodes'. YouTube and similar addons now need to Set Content Type as "Videos". ^^^ This is why only 'List', 'Big List', and 'Thumbnail' views are available now. Changes have been pushed to github for the Confluence Skin by Team Kodi member @Hitcher (thanks Hitcher!) to allow the Media Info view to be available (again) to addons such as YouTube that will now need to Set Content Type as "Videos". This official change should also now be adopted by Skin Developers to complete the policy changes and make everything work like before (except in line with this enforcement, views will be set by skins, and not by addons). Your Skin probably needs updating first. Please inform your Skin Developer about these changes and refer them to this FAQ. As temporary work around users may install the 'Unofficial' YouTube version from Post #1 on Page 1 of this thread. This will give you back the possibility to chose the view in the addon settings. - Thread by @phil65: "Heads-up: How to deal with content types / media types"
* WHY DOESN'T THE MARK AS WATCHED / UNWATCHED 'TICK' WORK ANYMORE? This is a consequence of the above changes that require the YouTube addon to Set Content Type as "Videos". Due to a bug the 'Mark as Watched / UnWatched Tick' doesn't seem to be available to Content Type "Videos"
This should be solved when Skins are updated and/or any necessary background changes are made to Kodi. NB: Some Skin Developers may have taken a 'non-official' approach to a fix, however this may cause unknown behaviour. (2016-12-05, 19:13)anxdpanic Wrote: I'm going to try to sum up the user side of this to hopefully help with some clarity on this. (2016-12-05, 19:53)Martijn Wrote: If there is indeed an issue now with watched/unwatched we'll have to fix that and not hack around the problem. - Then > Start Kodi > Go to Kodi Settings > Addons > "Install from Zip File"
About my little issue....... i try tomorrow to upgrade my alpha. It's very strange because i not using a Watch later id or similar, i never put nothigs on this two voices.... it's ok ? When a video plays post play events are trigged - add to watch history, and remove from watch later -, since your watch later id was unset it was attempting to find it. The issue is fixed, and also changed it so the add-on will not try to find the watch later playlist id unless requested by using the 'Retrieve Watch Later playlist id' setting. (2017-12-22, 19:29)anxdpanic Wrote: When a video plays post play events are trigged - add to watch history, and remove from watch later -, since your watch later id was unset it was attempting to find it. The issue is fixed, and also changed it so the add-on will not try to find the watch later playlist id unless requested by using the 'Retrieve Watch Later playlist id' setting. Is the daily quota limit for this add on ever going to be fixed? (2017-12-25, 05:29)Licentia Wrote: Is the daily quota limit for this add on ever going to be fixed? Are you ever going to read the FAQ and Personal API instructions for this addon (that are noted in my signature)? NB: these are still linked to the old thread but will be transferred to this new thread in the coming days when I have time do so. I've read those instructions and tried them but they didn't work. I'm also using Libreelec, not Android, so having to type in the API keys is also pretty difficult. I wish there was an easier way to resolve this issue. That last point would be down to Google, not kodi or jmh2002 (or anyone else supporting this add-on). ive been having issues with youtube on a few devices, all report the same. 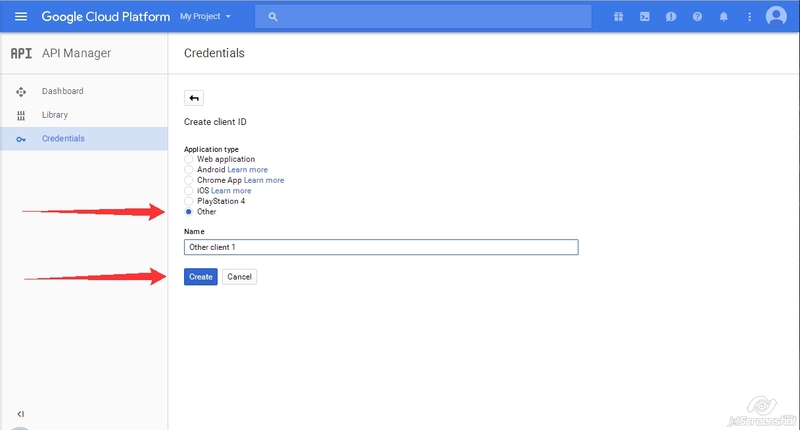 ive reset youtube and removed all addons and my personal api key. 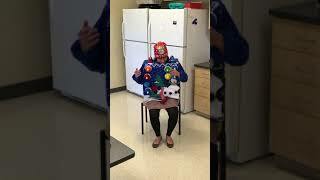 Sometimes plying the video a second time it will play, other times it just wont play butva different video will. playing the same video from Chrome using youtube.com has no issues. bewlow log is an example of a random video in the popular section. 11:11:51.296 T:4095385600 NOTICE: Previous line repeats 1 times. 11:12:18.780 T:3629626272 WARNING: DoWork - Unable to open video database. Can not save file state!